Registered nurse schools in Arkansas aim at providing an intellectual climate for a candidate, who is self directed, professional, capable, accountable and helpful, and who can help in providing therapeutic nursing intervention. Nursing programs help an aspirant in achieving not only professional goals, but also personal goals. RNs make a difference in the lives of people of all ages- from newborn to old. To become a successful RN, the candidate must have exceptional communication skills to help the patient and his/her family members. The first step towards obtaining a registered nurse certificate is to get program from a state-recognized program. The aspirant should not be less than 18 years of age. It is mandatory for the student to submit either a high school diploma or a GED as proof of completion of the basic education. A valid photo ID should be provided by you. You must clear the drug and criminal background screening test. In case, you fail to qualify the test, you will be terminated from the program program. Submit level one fingerprint clearance card. An applicant’s score must be 80% or above in Math and 75% or above in English language. The state of Arkansas offers the following courses in registered nursing. An aspirant must determine, which degree he/she wants to pursue. Associate Degree in Nursing The ADN program builds the foundation of nursing and prepares the students for entry level jobs. It takes around 2 years to complete the program, and the aspirant has to submit approximately $14,425 per year. The coursework covers fundamentals of nursing, health science, microbiology and physiology, developmental psychology, interpersonal and small group communication, etc. Diploma in Registered Nursing Diploma in RN takes three years to complete. The cost associated with this coursework amounts to nearly $15,520 every year. Bachelors of Science in Nursing: The BSN program is full of opportunities that will expand your career diversely. It is a comprehensive program that incorporates meticulous curriculum and hands-on program. You need to spend 4 years to finish the entire coursework. It will cost you $20,000 to $30,000 annually. Candidates become eligible to appear for the National Council Licensure Examination (NCLEX-RN) after finishing any of the above courses. RN to BSN: The RN to BSN degree is for those RNs, who want to complete their bachelor degree. It strengthens the base and enhances adroitness in order to fulfill the demands of the present healthcare sector. LPN to RN: The LPN to RN bridge is designed for those licensed practical nurses, who wish to become a registered nurse. 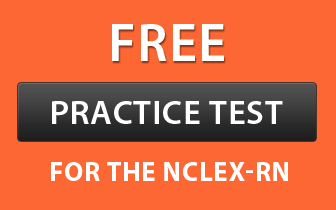 After completion of this course, you can take the NCLEX-RN exam. Master of Science in Nursing: This program prepares RNs for advanced nursing and dynamic and versatile profession. It explores a broad range of topics in nursing, which inculcate critical thinking and leadership skills among students. If you are thinking of enrolling yourself in the registered nurse program, then you must check if the institute is state-approved or not. Here is the list of state-recognized institutes in Arkansas.